Assalamualaikum wa Rahmatullah wa Barakatuh. As many of us realize, Sheikh Yusuf al-Qaradhawi is a very prolific scholar. He writes so many books cover wide range of topics. There is one book which was originally a paperwork he presented in a conference back in 1970’s, I found unique but somehow forgotten and neglected by many. The book is Tsaqafah al-Da’iyah. Perhaps the title can be translated as “The Knowledge of a Preacher“. These are the knowledges he listed and explained in the book. I find it fascinating and extremely important because if a Muslim understand al-Quran, and at the same time he or she also has a historical thinking to look at the Quranic verses, understand the psychological aspect of a person regarding it, having a sociological thinking to realize about the requirements and impacts when the verses are practiced in the society, also appreciates the linguistic factors behind the terms used in the Quranic verses etc… this will give a huge impact to the quality of understanding, as well as da’wah and teaching too. 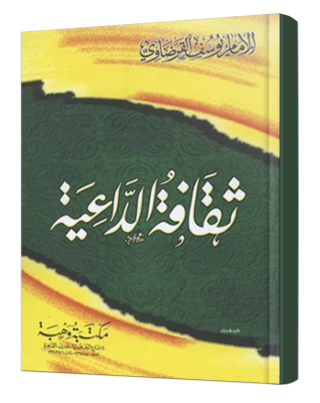 I share this book, thinking that maybe it is beneficial for us as teachers and educationists to take into account, how a Muslim scholar saw the importance of escaping oneself from the dichotomy of contemporary school streaming which produces a man who understand al-Quran but miss psychology, a scientist who deal with the miracle of Allah’s creation on daily basis but has no access to the foundation of Aqeedah, or watching so many events happen around them but do not have the knowledge to understand them, etc.